A sustainable environment is one where the land, the plants and the animals (together known as an ecosystem) are able to live in a balanced way. How can we become more environmentally sustainable? Natural resources, such as wood, can be used by human beings in order to build homes and other structures. In Galapagos, if people were to keep chopping down trees for wood until all the trees in the area were gone, we would call this behaviour ‘unsustainable’. If the people wanted to act in a ‘sustainable’ way, they could think about only cutting down mature (adult) trees, and every time a tree is removed, at least one more could be planted. This would mean that in the future, the new trees will have grown and will also be able to provide the people with wood. The people could also make sure they only cut down the trees that are needed, instead of cutting down every tree and then deciding what to do with the wood. This way the animals and birds of Galapagos (such as Darwin’s finches) that rely on the trees for shelter and food can continue to thrive. Electricity is an important necessity for homes in this day and age. To reduce the amount of damage we cause to the environment (see our chapter on Renewable Energy), we can aim to generate electricity in ways that work with nature rather than against it. For example, we could invest in new renewable energy sources such as solar or hydroelectric power rather than rely on fossil fuels that release harmful greenhouse gases into the atmosphere. All these damaging fossil fuels also need to be transported to the Islands, meaning a risk of oil spills into the fragile marine ecosystem (see our blog article on Recent Ship Groundings). If we don’t think about the environment when we make decisions, it might become so damaged that it would be impossible to repair and restore. 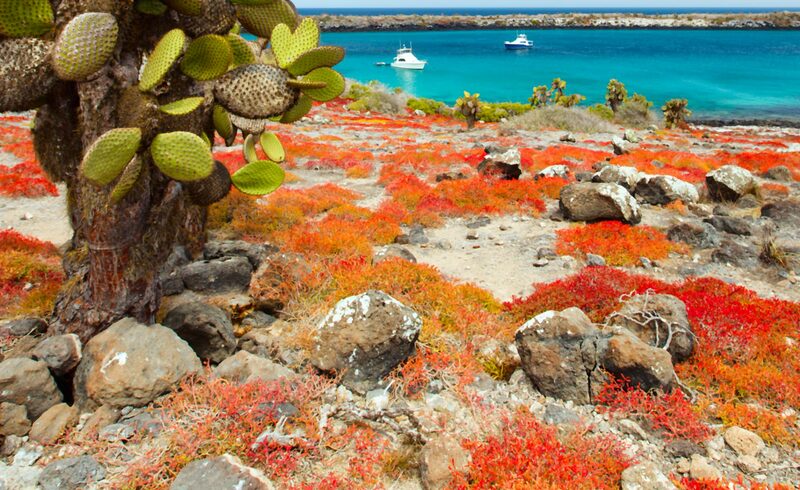 In Galapagos, the scalesia forests help to absorb harmful carbon dioxide from the atmosphere. We also have to consider that if we continue to damage the Islands, would tourists still want to visit? This could effect the businesses of people who rely on tourists coming to the Islands (such as hotels, restaurants and tour guides). The unique nature of the Galapagos Islands means that their environment is highly vulnerable to the unsustainable actions of human beings. One example of this happened on the island of Santa Cruz, at the centre of the Archipelago. In the early 1970s, Santa Cruz had a forest dominated by Scalesia, a type of tree that can only be found in Galapagos (they are endemic). There are fifteen different types of Scalesia that can be found in Galapagos and these trees can grow to be around 12 metres in height. They create a thick canopy which shades the lower forest levels from light, heat and heavy rainfall, protecting the soil from erosion. In 1982, there was very harsh weather in the Galapagos Islands caused by what is known as an El Niño event. For eight months, heavy rains fell on Santa Cruz and almost all the adult Scalesia trees died. In the following two years, Santa Cruz experienced the opposite weather conditions, known as La Niña, with drought and poor rainfall. There was little sign of the forest making a recovery back to its condition back in the 1970s. With little competition, the space left by the trees became a new home for introduced species. The Common Guava, Psidium guajava, was introduced to the Galapagos Islands in 1870 for food. Around the same time, Spanish Cedar, Cedela odorata was planted as a source of timber. Both have now spread throughout the Islands, taking over the Scalesia forest areas. 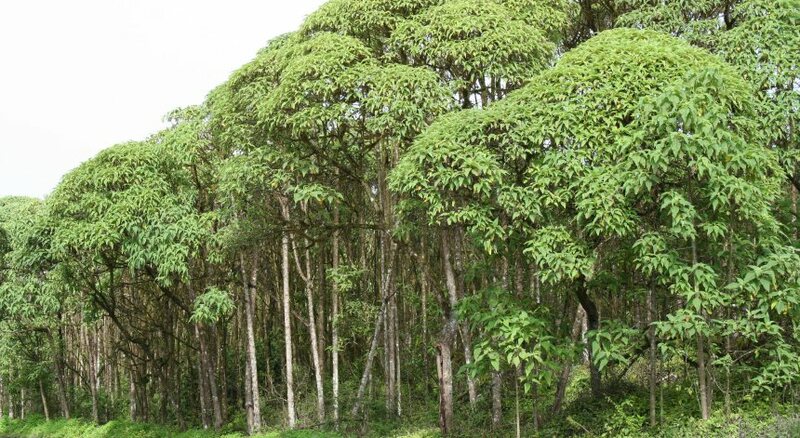 By 2007, very few Scalesia trees remained in the forest of Santa Cruz. 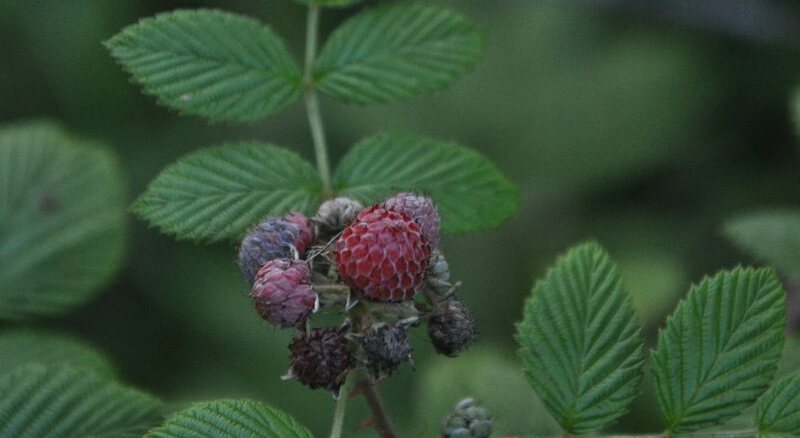 Now, new species such as Himalayan Hill Raspberry are making their way into the forest and changing the ecosystem again. Although human beings could not control the timings of the El Niño and La Niña extreme weather events, the impacts on the Scalesia forest were made worse by the unsustainable actions of people who brought the introduced species to the Islands, leaving the Scalesia forest with little chance to grow back naturally. Conservation projects are now at work to reforest areas of the Galapagos Islands with their native Scalesia trees. Previous: Sustainability Principles – What is Sustainability?